One step inside the new 2019 Kia Forte and you'll be immersed in a whole new world of Kia luxury. Examine power at its most premium level with the Forte's new engine that offers drivers in Kingsport, TN up to 147-hp at 6,2000 rpm. The Forte's ingenuity is unparalleled by competing models in its segment, and it's all due to efficiency. The new Kia Forte offers astonishing EPA-estimated ratings of 41 mpg on the highway with its variable intermittent transmission option. How far will you go with a vehicle this good? The only way to tell is to visit our Kia dealership near Johnson City, TN today. Take a seat inside the new Kia Forte and you'll see how comfort is supposed to feel. Drivers in Kingsport, TN who drive the Kia Forte enjoy all of the advanced technology it brings to their driveways, including Android Auto and Apple CarPlay capabilities. You deserve a new Kia vehicle that works for you. Why not buy a new Kia car that can offer you Steering-Wheel-Mounted Audio and Hands-Free Phone Controls? Your passengers will gleam in excitement when they witness the Dual 12V Outlets and Auxiliary Input Jack! Everyone has a place in the new Kia Forte, that's what makes it great. The all-new Forte also presents Johnson City drivers with Dual-Zone Automatic Temperature Control so that everyone can stay nice and cozy on your long rides. 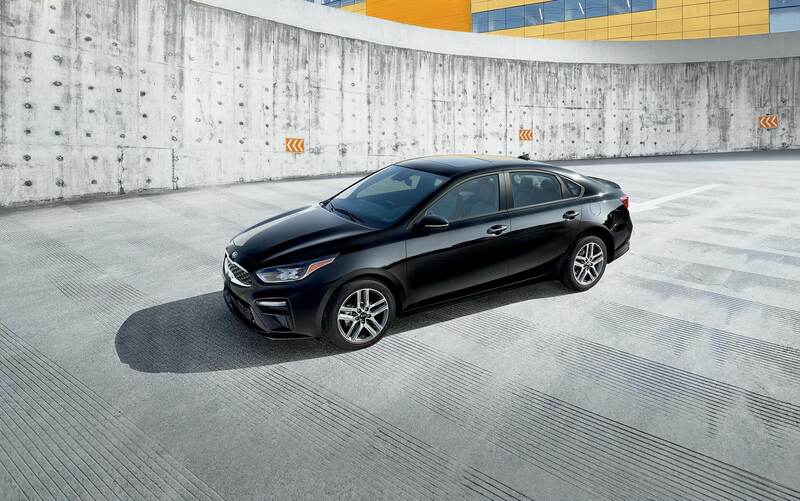 Visit our team and discover the latest technology inside the new and improved 2019 Kia Forte. You're in control with the new Kia Forte. With superior technology at your beck and call, safety is second nature to your new Kia. You can access Rear Cross Traffic Alert and Lane Change Assist Systems in one place, thanks to the original Kia Forte EX. This vehicle offers many different safety features so that you and your family can ride with confidence. In addition to the safety systems, the Forte provides Dual Front Advanced Airbags and 3-Point Seat Belts that work in all seating positions. The new Forte will always defend you with systems like the Vehicle Stability Management System. Call our team or contact us online to see how you can schedule a test drive in Kingsport, TN. Get behind the wheel of a new Forte today. You deserve it.